Contact the office if interested in viewing a recording of this webinar. 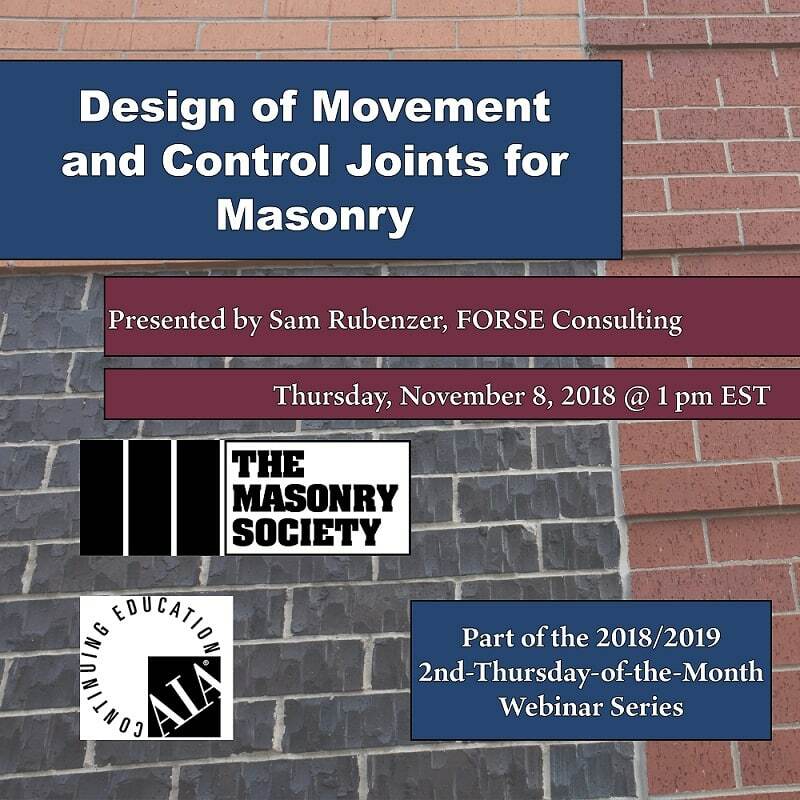 This webinar addresses the movement characteristics of masonry wall systems, and compares the differences between architectural veneer and structural reinforced masonry. Focus is on best practice for design and construction of expansion and control joints to accommodate and/or restrict masonry material movement. Samuel M. Rubenzer is the founder of FORSE Consulting. The FORSE team assists other structural engineers with designs on a variety of projects and complex structures in steel, concrete, PT concrete, masonry, wood, and connection design. With 20 years of experience in structural engineering, Sam has worked for firms in Minnesota and Wisconsin, designing a wide variety of structures, including masonry buildings. Sam also spent 5 years at RAM International and Bentley Systems providing software training to structural engineers. Sam has a Master of Business Administration from Marquette University, a Bachelor of Civil Engineering from the University of Minnesota, and is a licensed structural engineer (SE) in Illinois and a professional engineer (PE) in many of the Midwestern states. Sam also serves as a structural engineering consultant to Structural Masonry Coalitions in several states since 2010.